One Eternal Day: "A warlord in the army of God"
I've posted before about a favorite collection of mystery short stories, Uncle Abner: Master of Mysteries, by West Virginia author Melville Davisson Post, who resided in Lost Creek, WV, and inevitably would have known and been known by Seventh Day Baptists there. 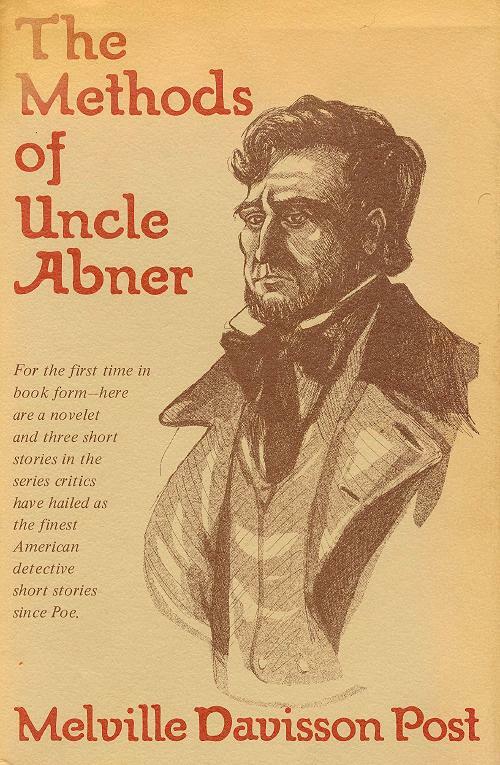 A later collection of uncollected Uncle Abner stories was published by The Aspen Press in 1974. The Methods of Uncle Abner appears to be out of print but second-hand copies can be found at reasonable prices. He made his home in Lost Creek, West Virginia, where he relaxed by riding horse-back and reading the classics. He died in 1930 following a fall from a horse. 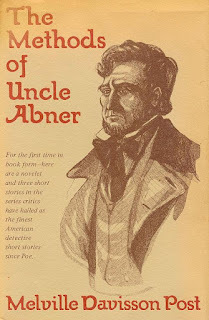 UNCLE ABNER, a formidably righteous country squire of the hill region of pre-Civil War (West) Virginia, is the most memorable of a series of detectives created by Melville Davisson Post, one of the most accomplished Americans writing in the genre.... The Abner stories began appearing in magazines in 1911, and the first eighteen were collected in 1918 under the title Uncle Abner. Master of Mysteries, a volume that Ellery Queen has ranked as one of the four finest collections of detective short stories ever published. Abner was an original, and in him Post may well have given us our first truly great American detective. Dupin, after all, was a Frenchman, and until Hammett came along most American detectives were modeled, for better or for worse, after their British counterparts. But for all his Old Testament flavor, Abner is a wholly American figure, whose roots lie not in Doyle but in Melville. He is a sane Ahab, seeking not vengeance but justice, and a character no reader is likely to forget. As Edmund Crispin describes him, he is "the good man and the reasoning man splendidly combined into one."